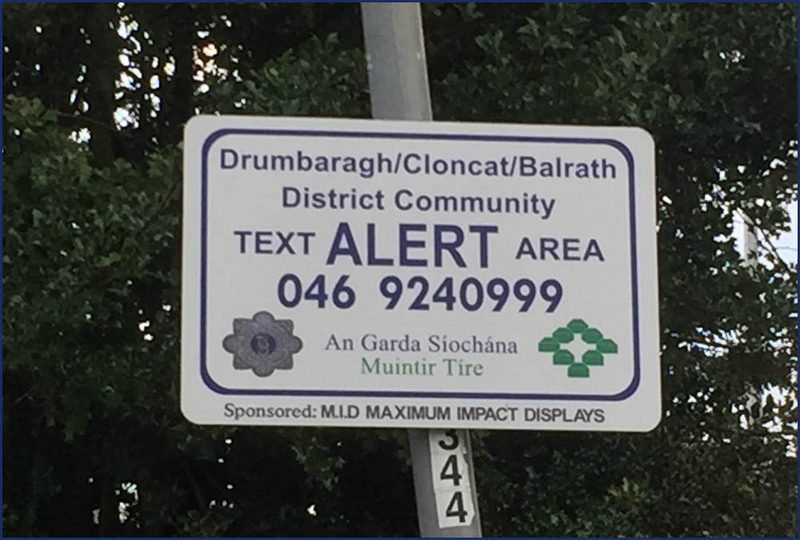 CommunityAlerts.ie is used by over 240 groups across the country. The services runs 24 hours a day, 365 days a year and the service is fully automated. If Gardai issue an alert at 6am then it will still be issued to your subscribers within 0-3 minutes. The reliability of the service receives wide praise from the Text Alert and Neighbourhood Watch groups using the service. 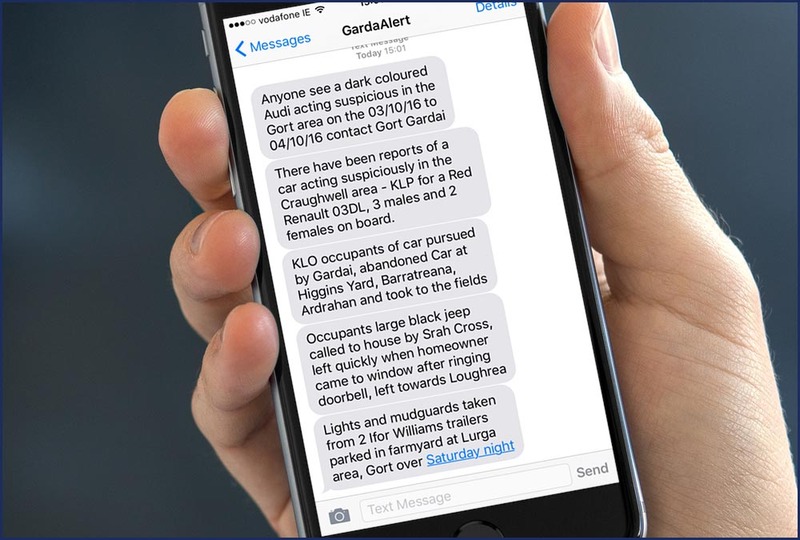 Gardaí have a direct line into CommunityAlerts.ie and they can issue alerts any time of day. It is possible for Gardaí to submit alerts by email or SMS text message based on their own official Text Alert guidelines. This means there is no need for a community-held phone to forward on alerts from Gardaí. We do all this on your behalf as part of the service. We are conscious that not all groups are overly familiar with websites and online services. We provide each group with their own company representative at CommunityAlerts.ie to ensure they get up and running. 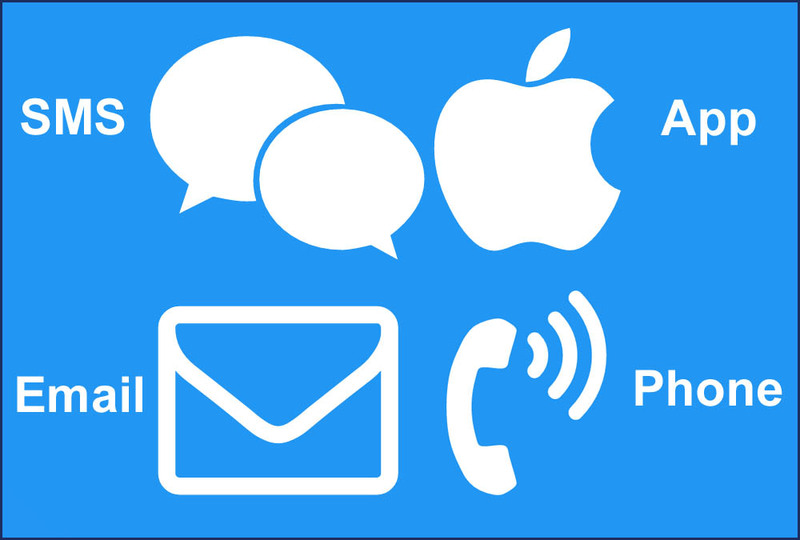 We are happy to take your calls and help import your phone numbers. Once you are subscribed to the service we will regularly check up and ensure you are satisfied. It is important that you, as a group manager, can quickly add and update your subscriber database. It is possible to quickly add subscriber information and you can decide how much or how little personal details to include. It is all very user-friendly. You can even set a latest time for each subscriber to receive alerts so your early birds don't get alerts past a certain hour! Our free smartphone app is perfect for your subscribers to get alerts in an innovative way. It is completely FREE to issue alerts to those using our App, which is available for all iPhone and Android smartphones. If all your subscribers have the App on their smartphone then it means that each alert is completely free, even if you have 1000 subscribers. Smartphones represent the future of bulk-communications and we are embracing this change. 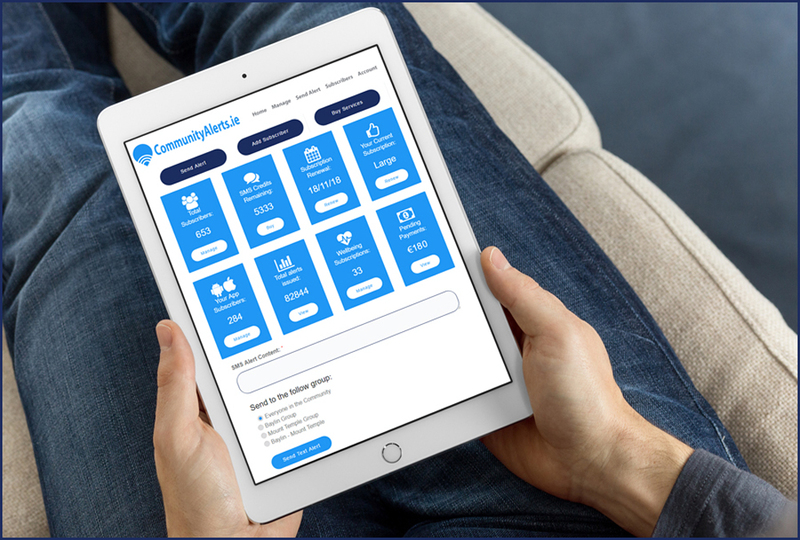 The CommunityAlerts.ie website user experience means it is easy to add subscribers, send alerts, view text alert delivery logs, manage payments and much more. The website is designed to work on your PC, laptop, smartphone or tablet. Our Text Alert groups have offered valuable feedback that we have built into the site. We love this feedback... if you have a suggestion to improve our service then let us know and we can build it for you. Part of our Text Alert strategy is to ensure that alerts can be received by everyone. 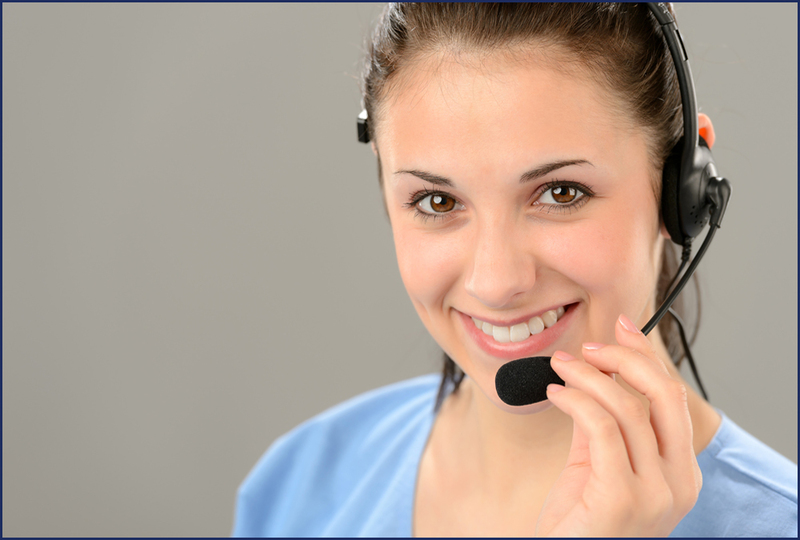 We provide landline phonecall alerts for any of your subscribers that do not own a mobile phone. This is typically older persons and we can call their landline and play back the text message message that is issued. Email alerts are free to issue and allow groups to send longer alerts that can include document attachments or photographs. Pick and choose the townlands that cover your Text Alert group. There is no mapping required, just pick the names from a list. 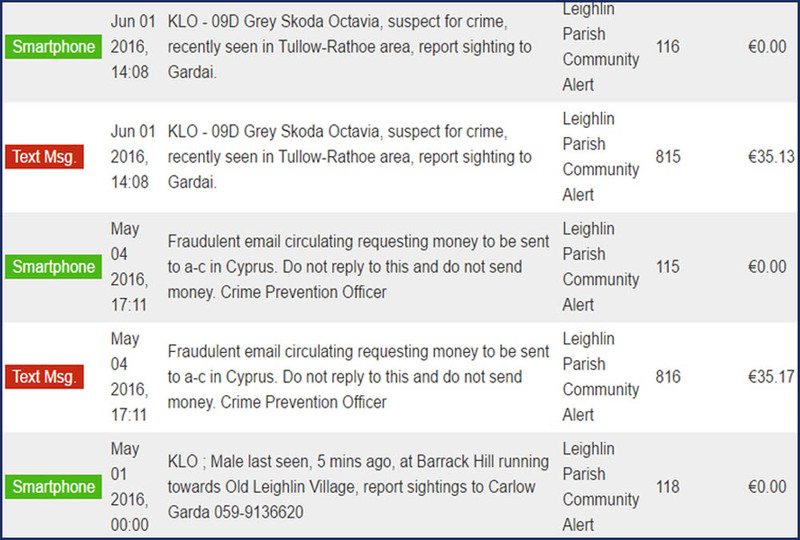 This information allows us to link you up for a heads up of crime alerts in neighbouring groups and to help refine alerts from Gardaí, Met Eireann, Local Authorities and other alert content providers. 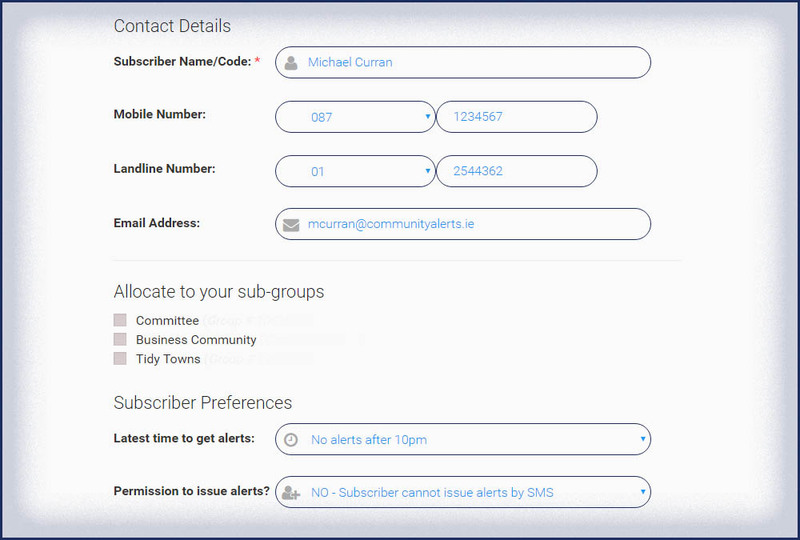 CommunityAlerts.ie allows groups to link any of your subscriber payments (online or offline) with their profile in the system. 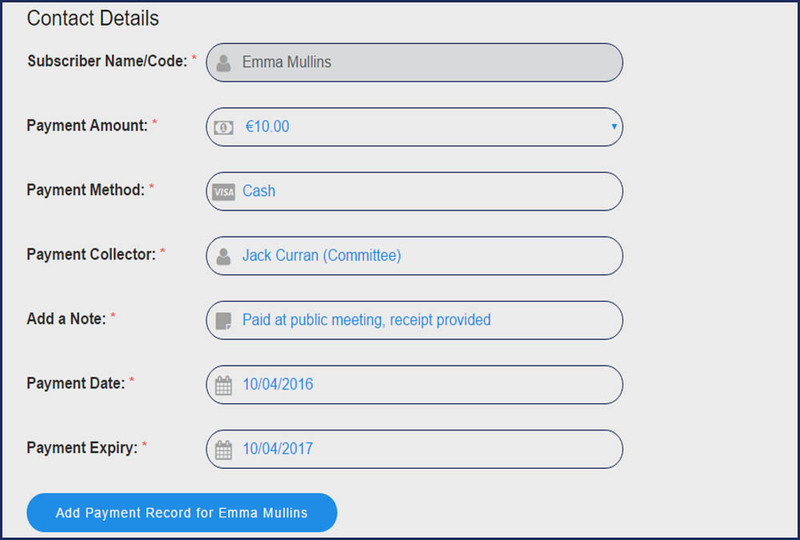 Groups can then export a list of payments for the AGM or the treasurer. It is also possible to use this list to send payment reminders to any subscribers that haven't paid within a certain time. 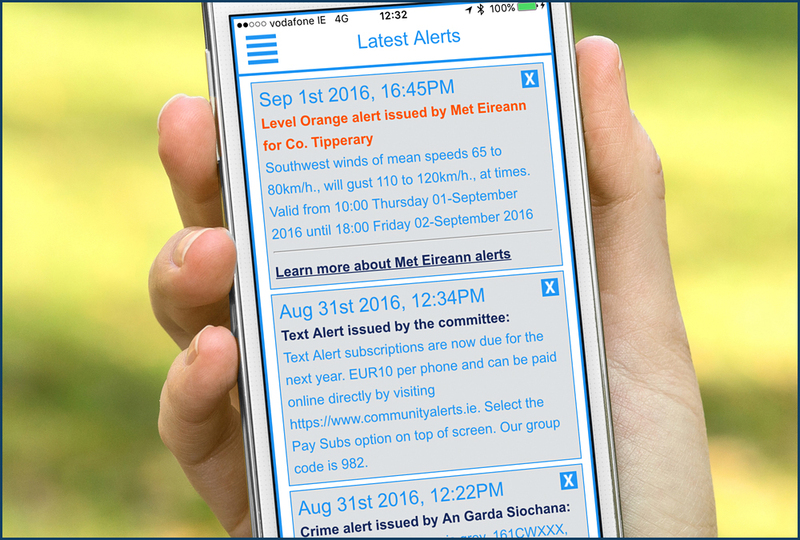 Text Alert group managers can use the CommunityAlerts.ie to view a history of all alerts that have been issued. The Alert History is colour-coded by delivery channel (SMS, App, Landline, Email) and cost information is fully transparent (notice the free alerts to Smartphone App!). SMS Delivery logs are also available for the previous 60 days. Everything can be exported back to Excel for further analysis. 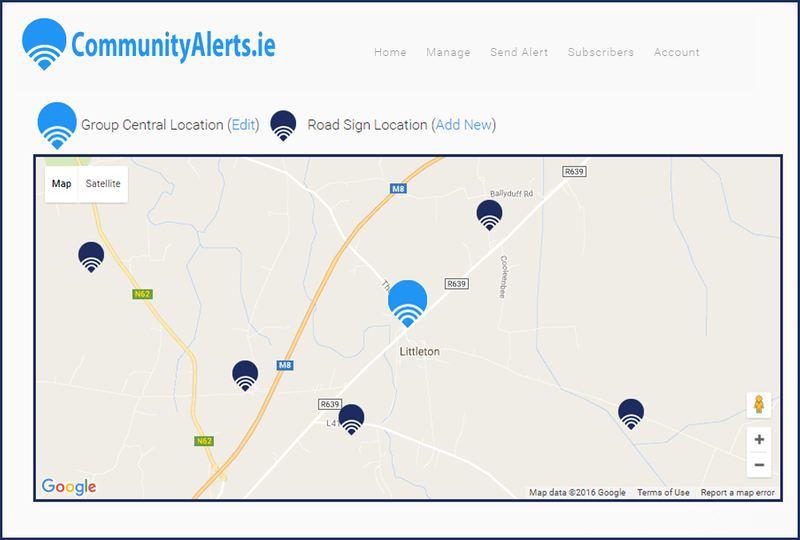 CommunityAlerts.ie allow groups to map and manage their stock of Text Alert road signs. Groups can grow a list of road sign locations which can then be printed and submitted in a neat layout map for the benefit of your local authority. The Area Engineer will get a list of locations including GPS coordinates and the description of the sign (type/appearance). This feature will save lots of time for Text Alert managers starting off.